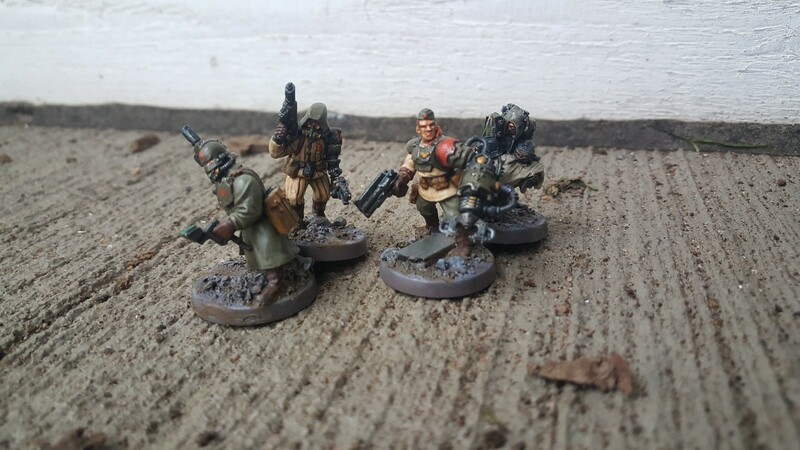 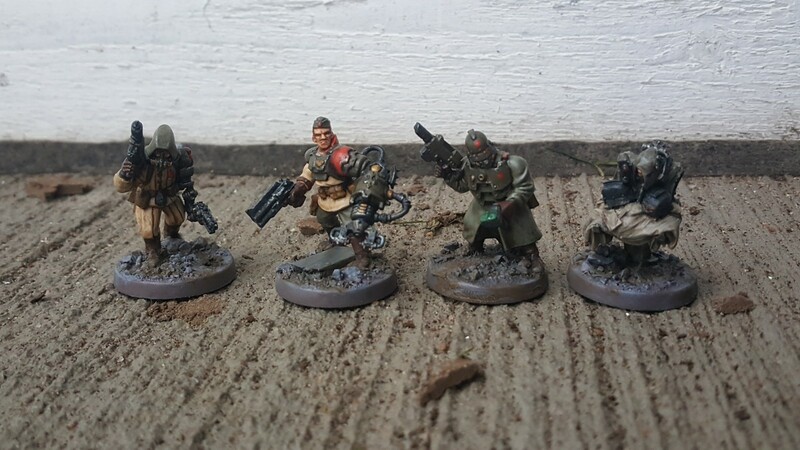 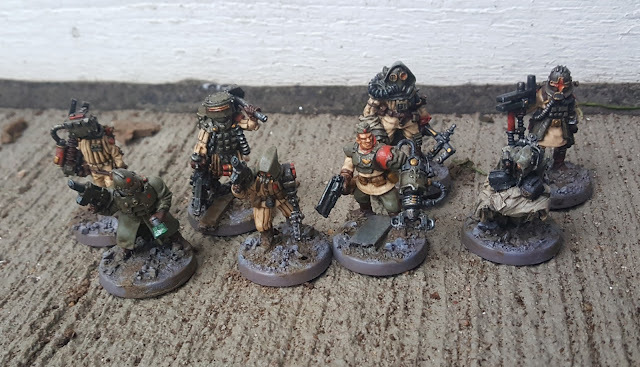 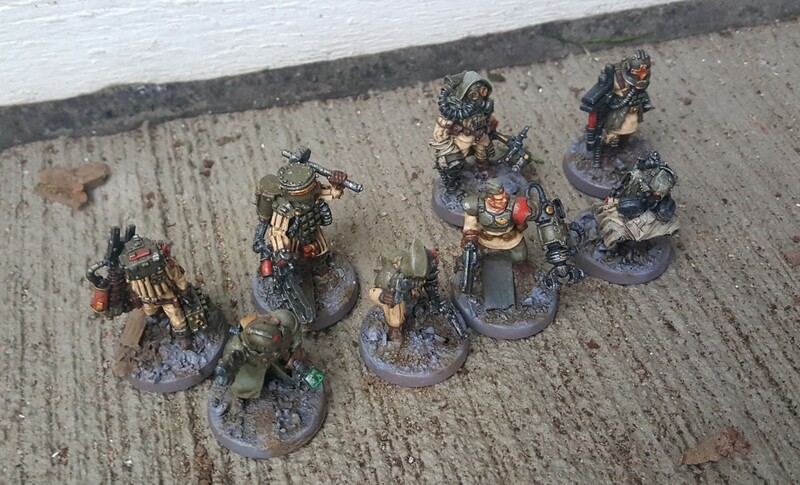 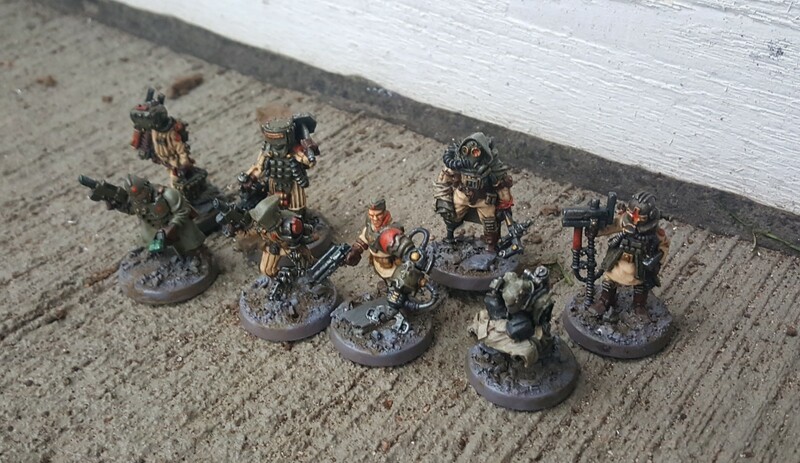 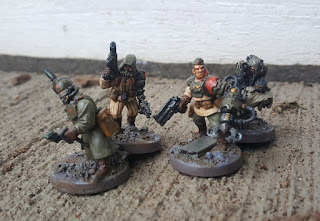 I just love the previous mechanics so I kitbashed some friends to them. 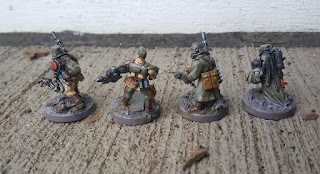 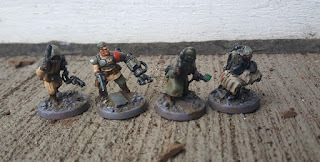 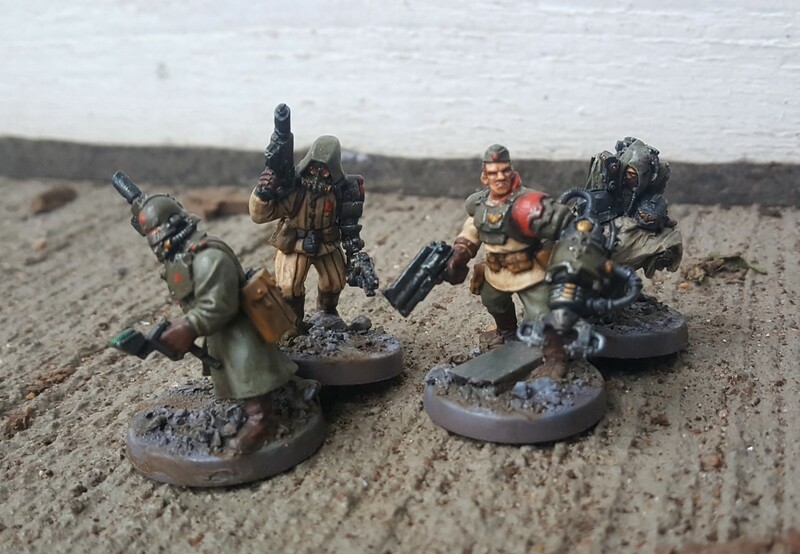 One is a Death Korps of krieg servitor but the others are converted. I used Warlord Games plastic Russians as a base and added bits from all over. 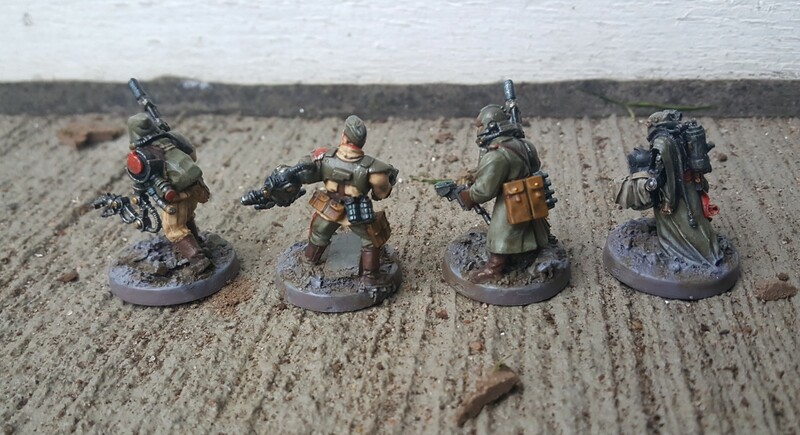 And combined with the lovely miniatures from Lead Adventure Miniatures in the previous post I get this small band. 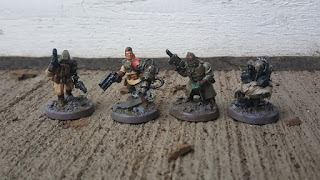 Don't mess with the lads at the machine shop.